There were errors found during form check. Check fields and try again. Under the conditions of entry for citizens of foreign States into the Russian Federation by diplomatic, official (official, special), civil passports of 04.2016, citizens of South Korea have the right to enter Russia without visa and stay on its territory up to 60 days. Business From 90 days to 3 years Conducting business negotiations, meetings, long trips to relatives and friends, participation in conferences, looking for business partners, etc. A letter of invitation from organization: from 35 euro. An invitation from FMS: from 65 euro. If you are planning a trip that exceeds 60 days, you must obtain a visa to Russia. On the territory of the Republic of Korea, you may apply at the official Visa Application Center of the Russian Federation VFS Global, or directly at a consular department of the Russian Embassy. To apply for Russian visa, a citizen of South Korea is required to pay fees involving the consular fee 108.000 KRW (for a single visa) and a service fee 36.000 KRW. In the case of applying for Express visa ( processed within 1-3 working days), the consular fee is 216.000 KRW. For business trips to Russia from 90 days to 1 year, you should obtain a business visa with single, double or multiple entry. The cost of consular fee for multiple business visa is 648.000 KRW. Since the end of 2015, the Russian Federal Migration Service has introduced a new form of business invitation send as an electronic document. We offer you to order your business electronic invitation from us. One copy of the official electronic encoded document on the FMS form will be sent to you, and the second copy will be sent electronically to the appropriate consular agency of Russia in South Korea, where you shall receive your visa. Besides the FMS invitation, citizens of South Korea may obtain a business visa if they have an official letter of invitation from the Russian organization. The letter of invitation must be written on the company’s official form and provided in a copy or original. You can order your letter of invitation from us, if you need to make a business trip to Russia for a period from 90 days to 1 year. 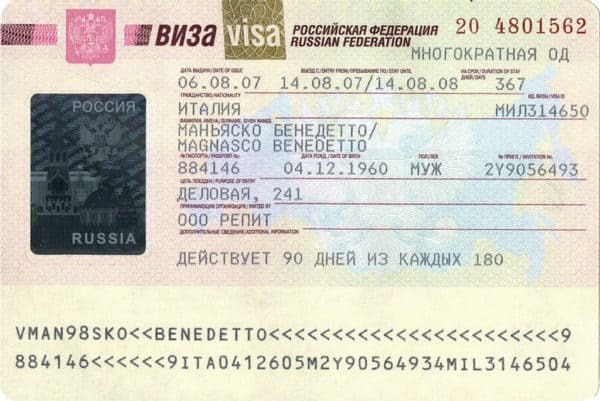 Please note that the main condition for obtaining a business visa with a letter of invitation is to have a previous Russian visa received no later than the last year. The invitation will be written on the official form of the Russian host organization and sent to you as a copy (if you are planning to stay in Russia for up to 90 days) or in original (if you are travelling for 1 year). For private visits to relatives or friends in Russia, you can apply for a private visa. It allows to stay in Russia for up to 90 days, with the possibility of single or double entry. Before applying for a private visa, you need to receive a FMS invitation issued by the Migration Service at the request of the inviting person. An invitation issued by the Russian Ministry of Foreign Affairs or the relevant Russian Federal migration service. This invitation is issued on the basis of a request from: A citizen of the RF, a foreign citizen with a residence permit in Russia, a legal body.